The main US actors' union has agreed a deal with the major Hollywood studios after a year of acrimonious pay talks which almost led to strike action. 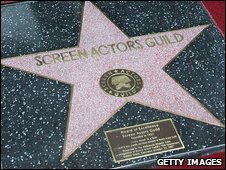 Members of the Screen Actors Guild voted to back a two-year deal covering films and prime-time TV shows. The SAG said the deal raised actors' minimum pay by 3% as part of a $105m package of improvements. But there appeared to be no significant pay increase for internet appearances - a key sticking point in the talks. Slightly more than one-third of the union's 120,000 members cast their ballots. Some 78% of them voted to accept the new contract. But analysts say the year-long negotiations failed to bring much benefit to the guild. 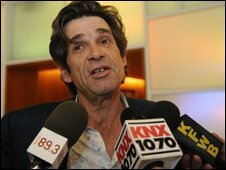 The talks led to infighting among SAG top brass, and a damaging split with another actors' union, Aftra. While Aftra settled pay terms for internet appearances, SAG held out for a better deal. Over the past year the guild's members have lost out as major studios sent more work to Aftra. And the SAG leadership itself appears to be divided over the new deal. SAG President Alan Rosenberg labelled the contract "devastatingly unsatisfactory" and called on members to "ready themselves for the battle ahead" for negotiating new terms in 2011. But chief negotiator John McGuire called it a "solid deal" and interim national executive director David White said it "puts Sag in a strong position for the future".